On October 9th, 2018, the Minister for Finance announced that the VAT rate for hairdressing services would be going up from 9% to 13.5% – a total of 4.5%. 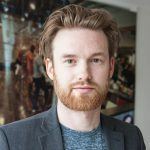 Coupled with a National Minimum Wage rise from €9.55 to €9.80 – in itself an increase of €0.25 per hour – and a rise in the rate of employers PRSI contribution, this VAT increase is causing for the hairdressing industry in Ireland to react, and for a cause. Sometimes, it feels like the Salon Industry in Ireland is never taken seriously. It always gets lumped in with the overall Hospitality sector, which includes hotels, for instance. And no disrespect to those industries, but the salon industry is nothing like them. Not to say that even though it employs nearly the same amount of people as the overall hospitality sector, I had to read four articles about the VAT increase announcement before I caught even a mention that hairdressing was also being affected! I know this post is about hair salons and that beauty salons have always been on the 13.5% VAT rate. However, we strongly believe VAT rates for both should be reduced to 9%, given as both types of salons face similar challenges. For a start, businesses in the Hospitality sector rely massively on tourism, whereas less than 5% of the salon business does. In the last 5 years, tourism has boomed in Ireland, and naturally, hotels have made a lot more money from this than previous years. Hotel rates in Dublin have spiked, to say the least. But this doesn’t mean the same thing is happening for salons. Of course, business has picked up from the nadir of 2010, but so has rent and wages – much more quickly than the number of clients. Nonetheless, hairdressing is one of the few remaining high street businesses that has survived the changes brought by the internet in the last 20 years. Go to any town or large village in Ireland, and there is a salon providing employment and a source of social glue bringing people in on a regular basis. As the Hairdressing Council of Ireland says, this VAT increase will only serve to migrate valued clients into the already very active black market. Over the years, the industry has seen limited support to eliminate a thriving black economy which is in direct competition with legitimate businesses. It is time to change this, and stamp out black market activity nationally. It is time the Government really supported the industry. As a result of this VAT increase, the loyal salon client will endure increased prices from January 1st, 2019, which will reduce their average spend and directly impact the income of salon workers and owners. It is about time this industry was taken more seriously for all the benefits that it provides to communities and rural Ireland. 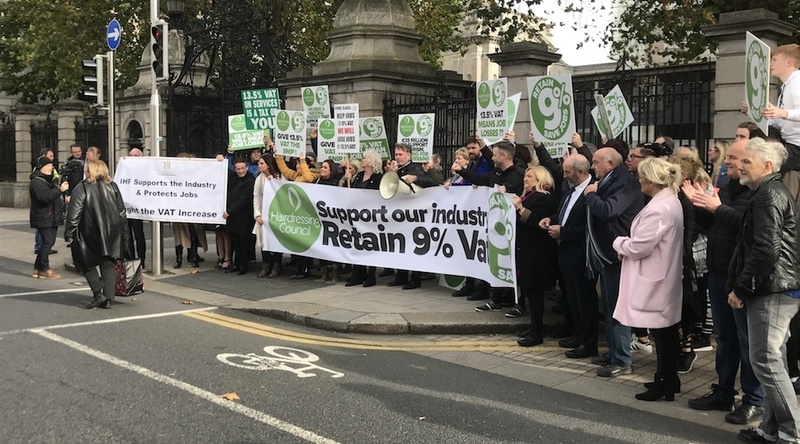 On Tuesday 23rd October at 1.30pm, the Irish Hairdressing Council is held an Industry call-to-action on the Dail to protest the announced 4.5% VAT increase. Phorest Salon Software, as always, fully supports the Irish Salon Industry. Hear more about it here, on the Phorest FM podcast.